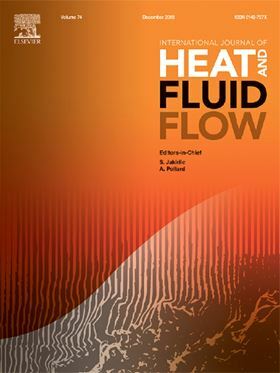 The research article 'Effects of modifying the blade trailing edge profile on unsteady pressure pulsations and flow structures in a centrifugal pump' has been published in Elsevier's International Journal of Heat and Fluid Flow (Volume 75, February 2019, Pages 227-238). In the present work, the effects of modifying the blade pressure side (EPS profile) on unsteady pressure pulsations and flow structures in a low specific speed centrifugal pump are carried out by experimental and numerical methods. Results are compared to the original trailing edge (OTE profile). Unsteady pressure signals are captured at twenty measuring points at flow rate of 0–1.6Qd. It is observed that the pump head of the EPS profile is improved for all the concerned working conditions. Pressure amplitudes at the blade passing frequency are compared and discussed in detail. It is found that the EPS profile contributes to pressure pulsation reduction obviously. For all the measured flow rates, pressure amplitudes are attenuated evidently at major measuring positions, especially at high flow rates. As for the mean pressure amplitude of twenty measuring points, pressure amplitude is reduced more than 20% at the nominal flow rate using the EPS profile. From relative velocity distribution, it is found that the uniformity of flow field at the blade outlet region would be improved significantly by the EPS profile. Besides, the corresponding vorticity magnitude at the blade outlet would be reduced compared to the OTE profile. The combined effects contribute to the reduction of pressure amplitude using the EPS profile. This paper investigates the classification performance of two artificial intelligence methods.